Cannes is a smallish town on the south coast of France, the delightful French Riviera. Cannes can be reached in a number of ways by road, rail, air and (technically) by sea. By road: Cannes is located just off the A8 motorway (La Provençale) that runs along the coast. Take the Cannes/Mougins exit and follow the signs. Just remember that Saturday is the big shopping day, and a lot of traffic heads towards the centre. So leave plenty of time to get to the centre of town from the motorway. By rail: Cannes is a major stop on the track between Marseilles and Italy. The same tracks are used by the high-speed TGV trains coming from the north of France, the UK, Belgium and the Netherlands. Trains are generally reliable, although dense traffic on this route means that delays do regularly occur. Rail strikes are also a regular issue. What is very useful is the number of local train stops outside Cannes, at Cannes La Bocca, Antibes and Juan-les-Pins. They offer very fast access to the centre of town at very cheap rates (currently about €5). For details and bookings, visit SNCF and TGV Europe. There are also connections to Ventemiglia and Italian towns such as Milan run separately by the SNCF and Thello services. By sea: although there are no scheduled sailings, Cannes also has a port that can be very busy during the main events such as the Cannes Film Festival and MIPIM. The bay in front of Cannes is also usually full of large yachts during the film festival in May. If you have the time, a wonderful way to discover Cannes is to take a yacht from Nice, Villefranche or Antibes and sail into the port. 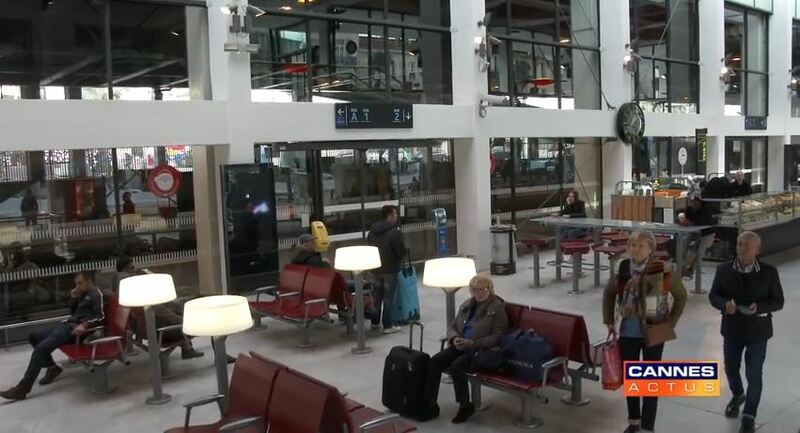 The nearest major airport is Nice (France’s second-biggest airport), which is about 45 minutes by car or coach. The airport is served by most of Europe’s major airlines. Travellers from North America or Asia might have to connect at another European airport such as London, Paris, Amsterdam or Brussels. This offers them the possibility of benefiting from low-cost flights through Air Berlin, BMI, Brussels Airlines, Easyjet, Jetairfly or Ryanair. 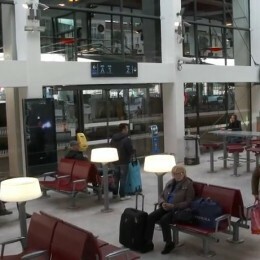 There are other airports in the region, including Marseilles and Toulon. Mandelieu, just outside Cannes, also has a small but fairly busy airport, mostly used by private or charter jets. Over the years, I have spent a lot of time comparing airline prices for flying to Cannes (I often find myself flying EasyJet, if you must know). But there is something important to bear in mind: the total cost of getting from your local airport to your hotel in Cannes. For European flights it is still possible to get tickets under or around €50 if you book long enough ahead. But sometimes a slightly more expensive ticket can save money. How? Simply by getting to Nice airport before the last shuttle bus (currently at 8pm). After that time, you might have to take a taxi that can cost €80-90, depending on where your hotel or apartment is. This is actually more than the flight! So remember to caldculate the door-to-door cost. One last thing: some of the apart-hotels do not have 24-hour concierge services. Check with them until what tiume you can check in before buying ticket. Bon voyage! Any cool tips you want to share? Drop a note below. We love to hear from travellers. The Bus n° 200 runs between Nice and Cannes, with the last stops at the airport at 9 and 10pm (weekdays) and 9.55 (Sundays and public holidays). It takes about an hour in the evenings. Morning buses start 8.07 and 8.22am (weekdays) and 8.05 and 8.46 (Sundays and public holidays). For getting back, morning buses leave Cannes (Gare Routière, beside the Mairie/town hall) at 5.50, 6.15, 6.40 and 7am. These times are for Terminal 1 at nice airport. However, I’m always a little hesitant about entrusting myself to a public bus when flights are involved. Taxis cost about €90 to Cannes, depending where you’re staying.